Who We Are and How Did We Get Here? In April 2000, David Passon started as a one man company in the Cookeville, McMinnville, Baxter and Crossville, area knocking on doors meeting people face-to-face. Pledging “Quality Service” and sticking to what he promised. Five years later Dave had settled in Crossville to live, and moved his office to Fairfield Glade as well, and by now he had grown to two trucks with “Friendly Quality Service” still being his motto and an employment of 4 personnel including himself. Dave worked along side his employees building and growing the company. In April of 2007 Dave moved his office closer into town onto Hwy 70 E. His company had outgrown the small office he was in now with multiple trucks on the road and 8 employees including himself. 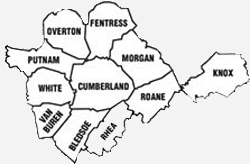 In 2010 we proudly celebrated 10 years of serving the upper Cumberland area including Cumberland, Putnam, Bledsoe, parts of Roane, White and Fentress counties. All because Dave has always stood firmly on his belief that “QUALITY CREATES DEMAND”. In 2014 we are still expanding and offering more to our customers. We are dedicated to making your experience the best and offering more services. We are are expanding into more locations to better serve out customers. We continue to strive to offer the best quality service in the area. Our services have grown as well. Going from just Pest Control and Termite work to now include French Drain Systems to remove water from underneath your home, Gutter Drain systems to prevent water from getting under your foundation. Advanced Termite is also proud to say that we have led the way in the innovation of Crawl Space Encapsulations to provide moisture control and prevent fungi (mold) growth underneath your home, adding to the protection and the value of your most valuable possession, your home. Our pest control technicians are well qualified and state certified attending schools yearly to stay updated with the knowledge to keep your home protected. Our friendly technicians will provide you with quality service doing the work as if it was on their own home. We have well trained sales personnel so they can answer all your questions about any of the services and products we offer. Advanced Termite and Pest Control is Family Owned and Operated, we have been in business for over 15 years serving the Upper Cumberlands and Surrounding Areas. We are Licensed, Bonded and Insured,. We are A rated on the BBB, and a member of the Chamber of Commerce. We are committed to providing our customers with Quality. Our Company phrase is Quality Creates Demand! We treat each Customer as a person not a number. We tailor programs to meet each individuals needs. We are committed to hiring employees in our community and believe in shopping Local not Global.